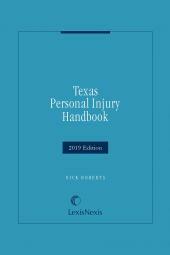 Authoritative treatise and handbook on Texas personal injury law and its nuances. Texas Personal Injury Handbook provides insurance professionals, legal assistants, attorneys, and others in the field of personal injury litigation, an accessible and authoritative ''one-stop'' handbook on personal injury cases. Case law, statutes, and policies concerning a variety of different subjects have been assembled into one source, focusing exclusively on Texas law. 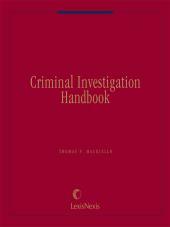 The Handbook can be used in a number of different ways. Insurance professionals may use the Handbook in evaluating personal injury claims, and determining coverage. 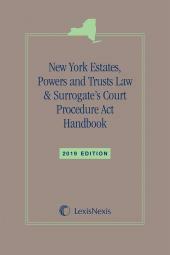 It also may be used as a portable basic reference book by attorneys and paralegals engaged in the prosecution or defense of personal injury actions. 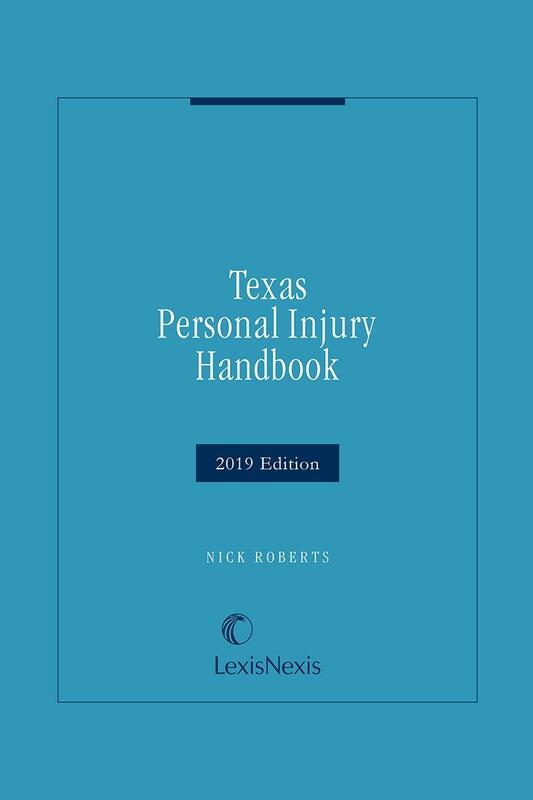 Additionally, corporate counsel and others who may potentially be involved in evaluating personal injury claims of employees or third parties will also find the Texas Personal Injury Handbook to be an easy-to-use, compact reference. Author Nick Roberts has devoted the past 20 years to practicing personal injury law in the state of Texas. Currently practicing at his own firm, the Law Offices of Nick Roberts, in Austin, Texas, Mr. Roberts earned his J.D. at South Texas College of Law in 1982. Working extensively with insurance adjusters to refine this product, Mr. Roberts has been the author and publisher of the Texas Personal Injury Handbook since 1991.